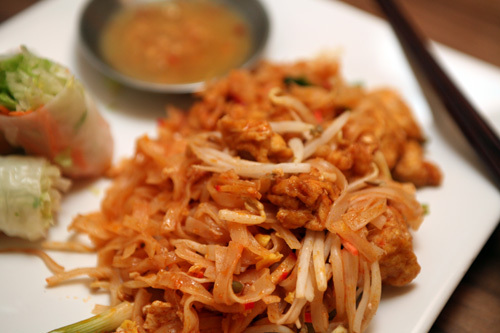 I've got some catch-up food posting to do because I decided to write about photography last night. I'll keep my words short... Oh! And if you've asked me questions on the photography post I will get them answered tomorrow sometime, so be sure to check back in. Also, things may be a little sporadic this week with my big deadline on Friday. Bear with me! 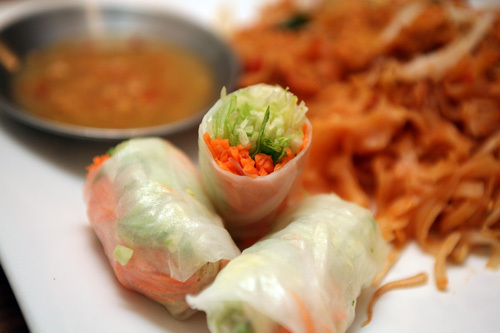 I've got a great menu planned this week, I just hope I have time to cook it! I knew I would be working for a few hours and had a haircut at 2pm so packed up a lunch to keep me from getting distracted by downtown food options when hunger struck. I took clothes with me to the office so that I could run home after my haircut. It was such a gorgeous afternoon that I decided to push myself and take the long way home, about 4-1/2 miles. It was tough, I was dragging because I hadn't run more than 3-1/2 miles in the last couple of weeks with my foot injury. And, my foot was pretty sore when I was finished. :( It did feel great to be outside though, stretching my legs and soaking in the sun. 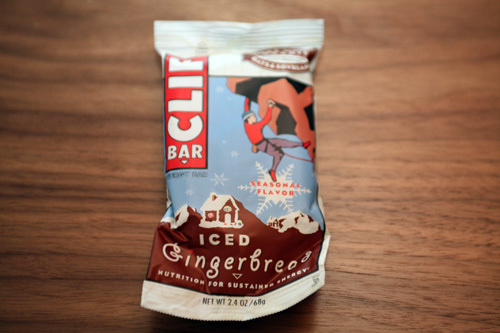 Saturday Afternoon Snack: the other 1/2 of my Clif Iced Gingerbread bar and my blood orange, perfect re-fuel after my run. 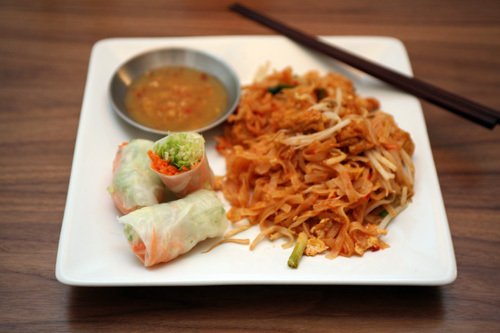 Saturday Dinner: take-out pad thai and veggie spring rolls with pineapple spice dipping sauce. We watched Things You Can Tell Just By Looking At Her...very good! Highly recommended if you like the vignette style of movie making. We really enjoyed it. I slept in a little this morning so packed this up to take to the office with me for a few more hours of work before yoga. Sunday Exercise: YOGA!!! At my normal studio. I've realized that the new studio that I bought an unlimited month pass to doesn't have many classes that work with my schedule, so I'll be continuing to join my normal Sunday class that I love love love so much. Today was no disappointment. I was a sweaty, leg-shaky pile of goo afterwards. 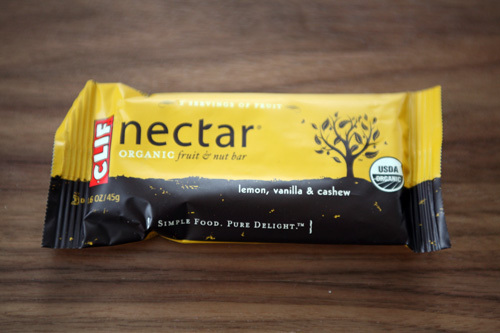 Sunday Afternoon Snack #1: a Clif Nectar bar, consumed immediately after yoga. Thank goodness I had it in my purse. My eating schedule always gets off on Sundays because I typically sleep later than normal then have yoga from 12:30-1:30, aka lunchtime. 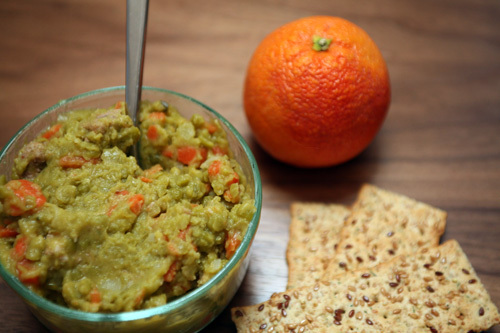 Today I had to go back to the office for another hour then went grocery shopping, so lunch slipped right by me. 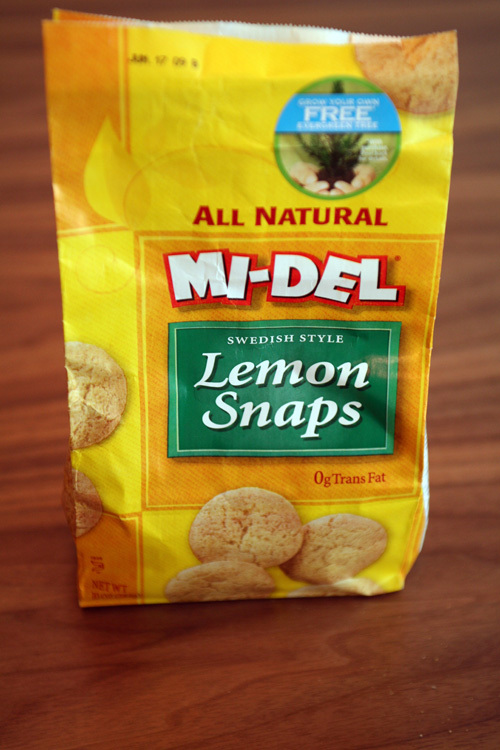 Needless to say I was famished while grocery shopping (bad, bad idea) and gave in to these Mi-Del Lemon Snaps. I of course ripped into them as soon as I got in the car. 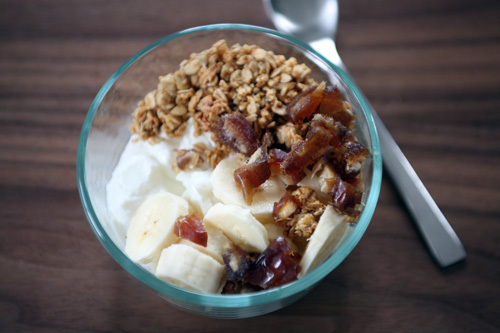 They are SO GOOD! 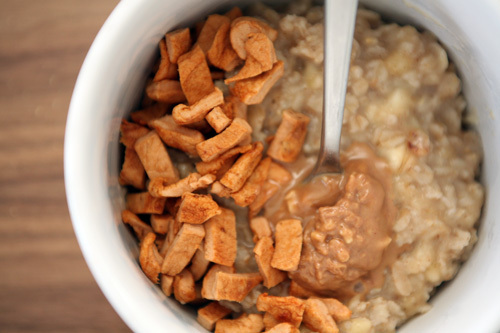 Just a hint of lemon with the same crunch as a classic ginger snap. They are dangerous... When I realized that I could easily finish the whole bag on my way home, I quickly reached behind me for the bag of grapes and noshed on them instead. 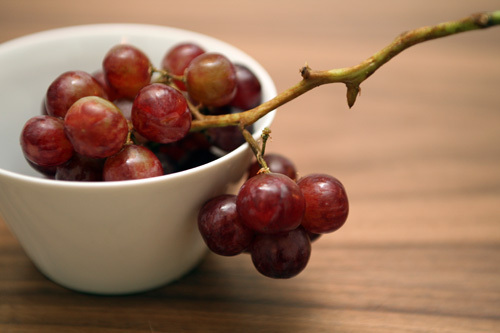 Sunday Afternoon Snack #2: 5 Mi-Del Lemon Snaps and a handful of red grapes (recreated for your viewing pleasure...). I had big plans to make dinner tonight, but when I opened the fridge I realized that we still had some leftovers to use up. So...another repeat. 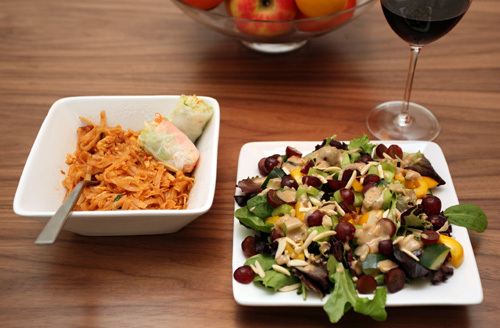 Sunday Dinner: leftover Pad Thai and a big ol' salad. Also, a glass of cab (which was actually started while sitting on the back deck with my hubb and our pupps, enjoying our amazing weather). 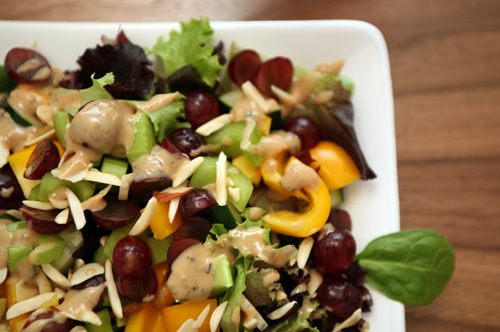 Annie's Goddess Dressing...which I'd never tried before! I had no idea what to expect, but I liked it! 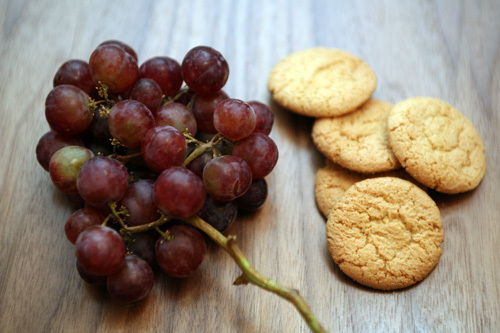 Sunday Dessert: 2 lemon snaps and another bunch of grapes...they just looked so good when I was taking their picture for the snack re-creation.